At Hotel Balaji International, we offer the best of services to make our guest feel the luxury of travelling in the auspicious land of Puri. As Puri is quite near to the city of joy, therefore many people hop in when they feel they are too burdened with the shackles of their life. Therefore we understand the need of luxury the travelers seek and hence leave no stone unturned to give that. Some of the services that we offer are inclusive of the spa facility that we give. 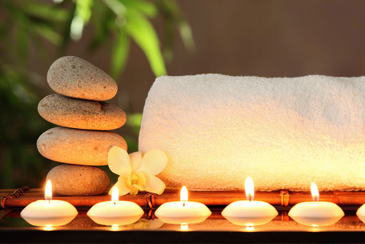 We understand the stress you go through in the entire day and therefore we cater to the spa facility here. While staying in Puri, and experiencing the beach, we are giving this magical treatment of massages that no wonder will take all your stress away. Rejuvenate Spa from Berries group of hotels gives instant relaxation to every traveler. Hence, we are inviting our guests to come and enjoy moments of happiness and peace while they travel. The products of Rejuvenate Spa give out sensory feel and hence the guests will experience the calmness after being pampered by our service. Rejuvenate Spa by Berries does not only think about the body but also the mind of one. 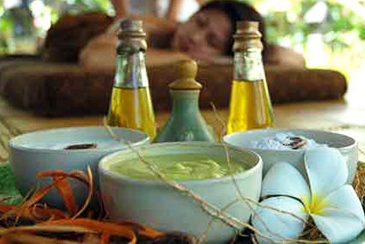 The tranquil balance that is attained by oneself after enlivening the body, mind and spirit is the after effect of spa. Many would spend hundreds and thousands visiting a spa parlour, but Berries group of hotels gives out this enriching experience to each of its visitor and saves their otherwise pocket pinch. And, right after a session of spa when you have opportunity to step out in the sea beach, then what else can uplift your mind and soul anymore? Hence, Book your accommodation with Hotel Balaji International to experience this enhancing feeling while you visit Puri. We have skilled therapists to give you this authentic treatment by massaging at the exact joints that stimulates the five senses of our body. To give physical, mental and spiritual upliftment our therapists provide unique Unconventional treatments. We also offer customised therapy for our guests when they need it. Did you know that a session of spa can actually cleanse all your negative thoughts? Yes, you heard it right. We offer a boosting White Tea blend which leaves our guests in ultimate ecstasy and hence they can enjoy the entire session of spa treatment in quietness. As some might feel uneasy therefore, we seek to give the extreme privacy and comfort. Our guests are made to wear soft hooded robe that will give them extreme comfort. The decor of the spa room and the presence of seasonal flowers and oils fills the room with aroma, helping to elevate our guests' mood. In a way we take away all the burdens from them and our guests leave feeling refreshed and ecstatic. Our Rejuvenate Spa is in accordance with the atmosphere of Puri and the supplement that reflect local culture and history of that place. This type of Spa is divided into two parts. At the beginning, the therapist gives a Swedish massage that will leave your body at complete rest and mind stress free. Then your back is compressed with heat which helps your back muscles relax and at ease. In this type of massage the therapist mixes the aromatherapy oils and different massage techniques which when brought together help you relax just the way you want. So what are waiting for? Scrubbing your body that will not only remove all the dead cells and tan but also energise your body and soul? Sure you would love that. Therefore, our trained therapists have personalised the aromatherapy body wash that consists of peeled off olive grains which enhances the skin and leaves it to glow. Your mind is also left energized along with it. 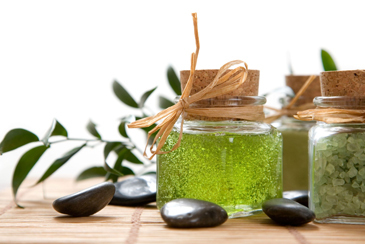 A facial having aromatherapy oils can leave your skin exfoliated and fresh. Would you want that in a trip? If you do, then choose the Revive Facial which has a soothing and relaxing after effect. Suffering with immense shoulder pain? 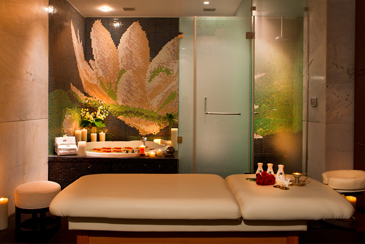 Then you must choose the Renewal Ritual that consists of a therapeutic session scalp and shoulder massage. Along with it our therapists also moisturises the hair with oil treatment. Kitchen Facilities available for the group.